U.S. Secretary of State Mike Pompeo launched a rhetorical assault on Iran's leaders on Sunday, comparing them to a "mafia" and promising unspecified backing for Iranians unhappy with their government. Pompeo, in a California speech to a largely Iranian-American audience, dismissed Iranian President Hassan Rouhani and Foreign Minister Javad Zarif, who negotiated a nuclear deal with the United States and five other countries, as "merely polished front men for the ayatollahs' international con artistry." U.S. President Donald Trump withdrew in May from the 2015 nuclear accord designed to stop Iran from developing nuclear weapons. Iran "is run by something that resembles the mafia more than a government," Pompeo said, citing what he called Iranian leaders' vast wealth and corruption. [post_ads]Pompeo's speech was the latest step in a communications offensive launched by the Trump administration that is meant to foment unrest in Iran and help pressure its government to end its nuclear program and support of militant groups, U.S. officials familiar with the matter said. The offensive is meant to work in concert with severe economic sanctions that Washington plans to reimpose in the coming months, including on Tehran's oil exports, its principal revenue generator. The United States will work with countries that import Iranian oil "to get imports as close to zero as possible" by Nov. 4, Pompeo said. Rouhani cautioned Trump on Sunday about pursuing hostile policies against Tehran, saying: "War with Iran is the mother of all wars." But he did not rule out peace between the two countries. "You are not in a position to incite the Iranian nation against Iran's security and interests," Rouhani said, in an apparent reference to reports of efforts by Washington to destabilize Iran's Islamic government. Publicly, the Trump administration says its policy with Iran is not "regime change," but to change Tehran's behavior so it stops nuclear and missile work, support for proxies in the Middle East and backing of militant groups. 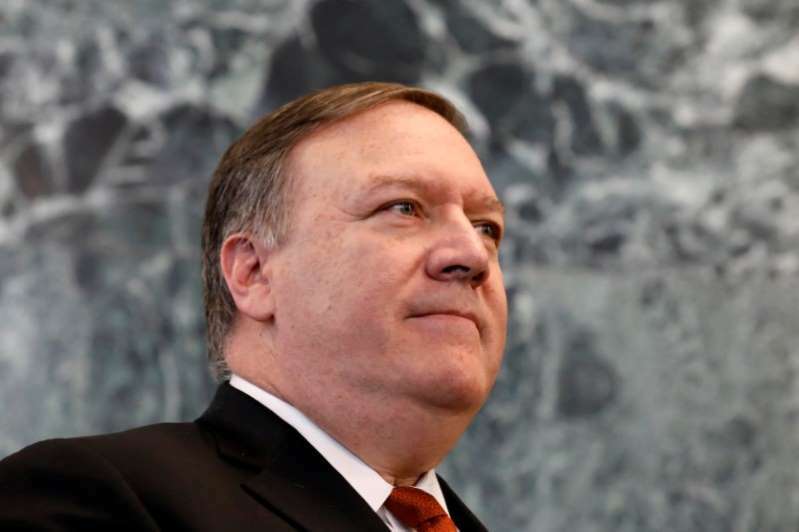 "While it is ultimately up to the Iranian people to determine the direction of their country, the United States ... will support the long-ignored voice of the Iranian people," Pompeo said.